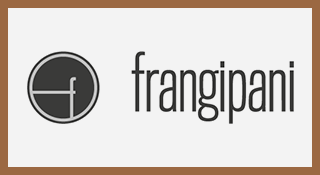 Bring back to life a perfume house of golden age of perfumery is not an easy task, since it is necessary to find a good balance between fidelity to the history of the brand and appeal to contemporary consumers. 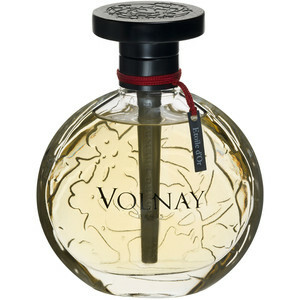 The case of Volnay seems successful, the result perhaps of heirs in love with the story of their family, which comes as a Coty manager meets a model of Lanvin, fall in love and decide to create their own perfume house. Etoile d'Or is one of the original creations, which is brought to life by keeping the retro air powdery but making it modern by emphasizing the gourmands and musk nuances between white and powdery. All Volnay have its pyramids in a classic accord that unifies them - the base 4092, a mixture of vanilla, rose and carnation. I believe it is responsible for the slightly sweet and spicy powdery aura of Etoile d'Or. Its scent opens with a contrast between warm citrus notes and caramel lavender nuances. 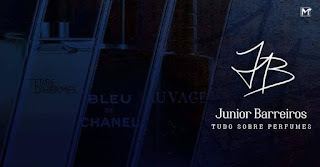 As it evolves, its aroma reveals all the retro powdery elegance, wrapped in a soft and luxurious floral impression. The final stage is more oriental and resinous and reveals a discrete moss and leathery pairt. Etoile d'Or is a beautiful luxurious warm creation. It can be said that Carol also made a reconstituion work in the 2014 Millesime edition of its classic male fragrance, Pour Un Homme de Caron. To celebrate the 80th anniversary of creation of the perfume, Richard Fraysse sought to bring complexity to lavender and vanilla accord, in order to capture the diverse facets and restore the richness of composition. 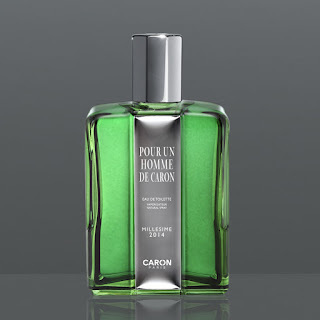 The result makes Millesime 2014 practically an Eau de Parfum version of Pour Un Homme or at least a less intense version of the dynamics found in the extract version (Impact Pour Un Homme). The lavender accord is longlasting, maintaining a balance between the bright and clean side and the sweeter and more subtly floral side of lavender. The base behaves similarly to the Impact, with a warm resinous aroma, less sweet, which reminds you the smell of incense, opoponax, vanilla and secondarily almonds. Pour Un Homme de Caron sounds that way at his best on its 80th birthday.